Cafe Hendrix is a one-of-its kind pub for blues and rock and roll lovers of the Northeast. Located in the Down Town area of Guwahati, this small cafe dedicated to Jimi Hendrix has in a very short span of time become a hotspot for music lovers of Guwahati, primarily on account of the live music sessions every weekend and the pub rock ambience. As the name indicates, the pub is the dream initiative of Syed Arzoo Ahmed – a die-hard fan of Jimi Hendrix who always wanted to host people with good food and good music. Though it initially started as a restaurant with a diverse clientele profile, it was transformed into a Blues pub in September 2010. Driven entirely by the community of blues and Hendrix lovers of the city, the pub has become a suitable platform for visiting musicians of the Northeast and also a launching platform for new talents. With Arzoo spending his childhood in the hill town of Kohima, he harbours strong sentiments of unity among the different tribes of the Northeast. Accordingly, the pub has featured many tribal musicians and artistes till date. Cafe Hendrix initially started off as a restaurant in the winter of 2007 and its first live performance was dedicated to Hendrix during the guitarist 65th birthday celebrations. “Jimi Hendrix is a legend whose magic is inimitable even today. He is the greatest guitar hero that ever lived. Having grown on a staple diet of his songs, it was only natural that I name my venture after Hendrix.” Though the cafe served good food and featured a number of artists in the initial days, it managed to embrace a varied clientele only after it was transformed into a pub. The highlight of Cafe Hendrix would undoubtedly have to be its ambience. A rock pub in the truest sense of the term, portraits of rock and roll legends adorn all the walls of the joint where comfortable sofas and tables are neatly arranged in the limited space available. With evergreen blues and rock and roll hits being played continuously in the background, the atmosphere reflects Arzoo’s passion for rock and his devotion to Jimi Hendrix. The only drawback of the joint is the limited space available. Since its inception, Cafe Henrix has conceived and developed several evenings which have become properties in its own right. The birthday celebrations of Jimi Hendrix, which has been carrying on since 2007 and which is into its fifth year now, is one such property. 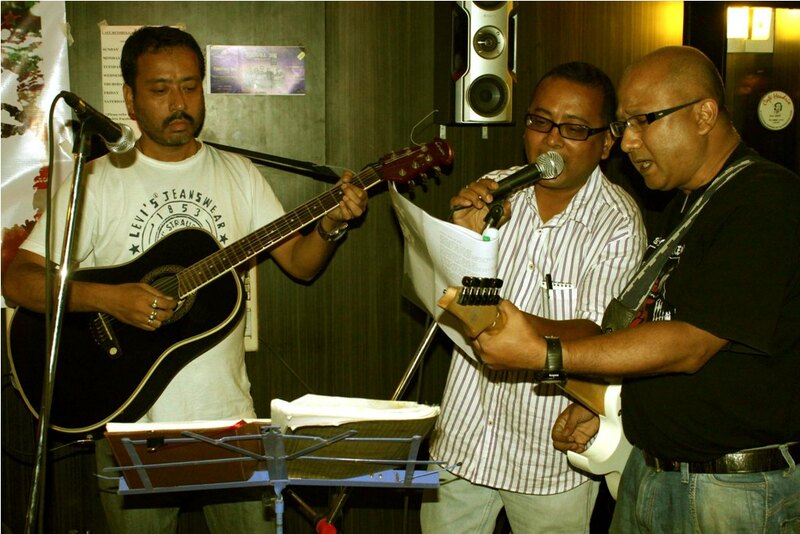 The Guwahati leg of Shillong’s famous Bob Dylan tribute celebrations also started here from this year. With the visitors to the trademark celebrations increasing every year, Arzoo now has plans to organize these gigs in other venues. A separate jamming room is also being constructed near the cafe. 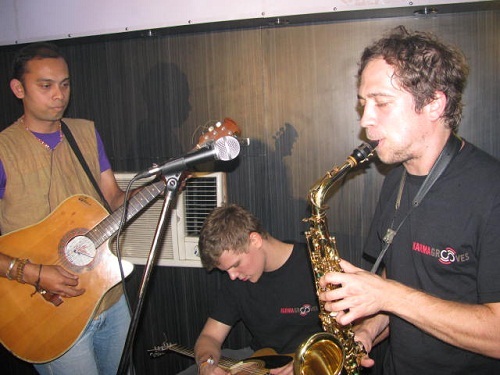 Till now, the cafe has played host to a number of regional and international musicians, including Lou Majaw, German band Karma Grooves, Mystical Illusion, April Shower, amongst others. On full evenings, the cafe can host around 100 to 150 people which is very small when compared to other pubs in the country. Cafe Hendrix has a basic sound system with the requisite stage gear and light and sound apparatus. 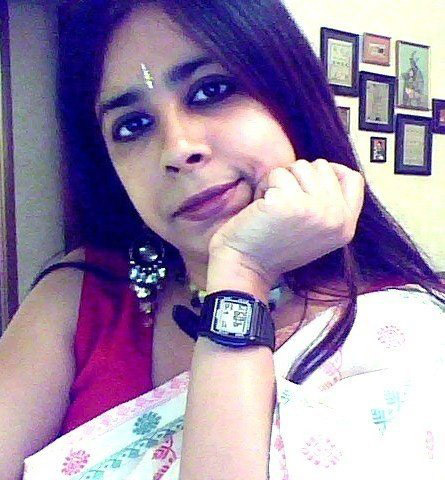 Popular writer from Guwahati Nabina Das is one of the residents of Sangam House 2012. She is among 18 writers from various parts of the world selected for the residency programme this year. Sangam, in Sanskrit, stands for confluence. As the name indicates, the intention of Sangam House is to bring together writers from around the world to live and work in a safe, peaceful setting, a space made necessary on many levels by the world we now live in. The residency programs are designed for writers who have published to some acclaim but not yet enjoyed substantial commercial success. Sangam House seeks to give writers a chance to build a substantial and influential network of personal and professional relationships that can deepen their own work, in effect, expanding and diversifying literature. “We understand that literature can and must remain a thriving force of illumination for our times,” the programme curators say. Assembling writers from various cultural backgrounds broadens the scope of each individual’s work. 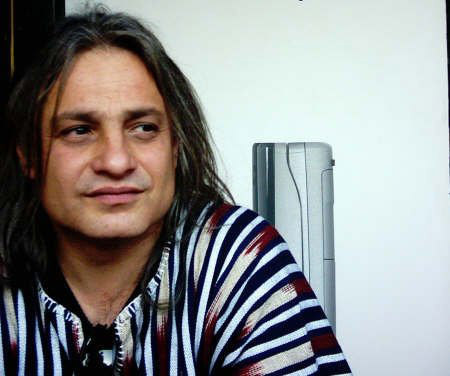 Exposure to regional and national trends in literature, to multiple political and economic obstacles and varied social and cultural milieus enhances each writer’s understanding of his/her work, as well as his/her own notions of identity and home. Recognizing the dearth of such opportunities in South Asia, Sangam House strives to encourage the work of those writing in all langauges, regional and dominant. Such a unique environment enriches the work of its participants and the texture of international literature. The Sangam House program also facilitates interaction between the visiting writers and the local communities. Cultivating such an intersection infuses the local communities with inspirations and new ideas, while allowing each participating writer to deepen his or her understanding of the diverse emotional and social climates in which literature is conceived and received. 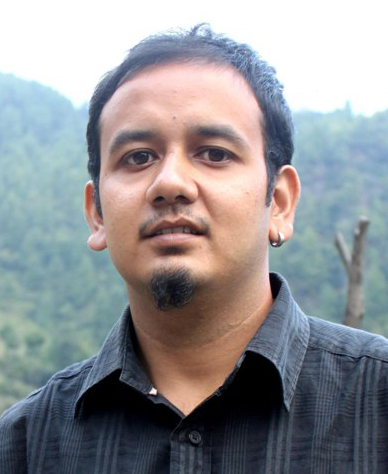 Another writer born and brought up in Guwahati but who is now settled in Delhi, Nitoo Das, will also be part of the residency program. 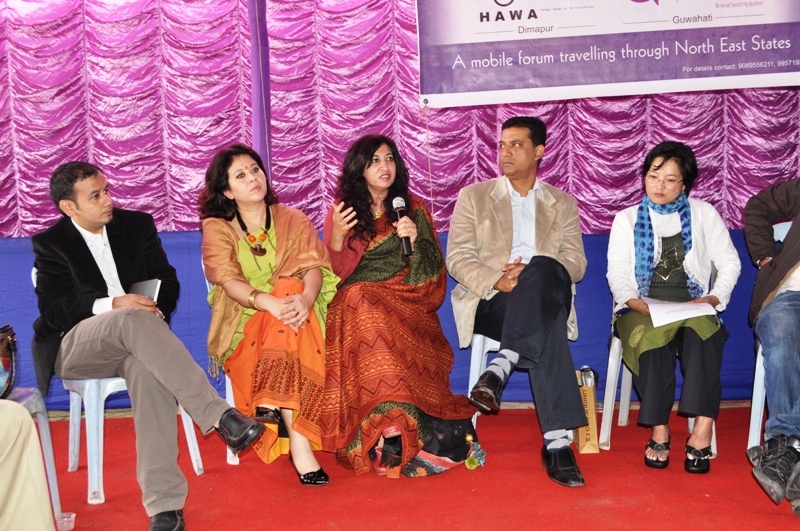 As part of its journey across all the Northeastern States, Dimapur-based HAWA and Guwahati-based Quaint Essense kick-started their handshake tour with creative minds from the Northeast with an open platform at the 13th North East Book Fair. The literary conclave, entitled a conglomeration of creative minds, saw a number of senior and established writers interacting with amateur writers, photographers and artists. Coordinated by writer Susan Waten, the literary conclave was the first step in the handshake tour. Susan and writer-activist Aiyushman Dutta are presently touring across different towns and cities of the Northeast in a bid to bring unpublished and hitherto unheard writers, artists and creative professionals on a common platform with established voices and faces. The event in Guwahati, entitled ‘North East Writers’ Conclave – an open platform: A conglomeration of Creative Minds’ saw a number of eminent writers from the city and also a host of amateurs get together to discuss on a host of issues concerning writing and writers from the region. The issues discussed were as diverse as the list of participants, ranging from writing styles and influences, new-age tools for writers, integrity of the writer, understanding of a community, publishing woes of writers etc. Noted writer and associate editor of Assam Tribune Group of Newspapers Indrani Raimedhi began the proceedings of the conclave. Speaking on the art of writing, she had a lot of tips for the amateurs on the nuances of writing. The event was coordinated by Susan Waten. Responding to queries of students and amateurs on the influences for writing, noted writer and associate professor of Handique Girls College Srutimala Duarah said, “Different writers, both from the classical and from the contemporary genre, may influence us and our writings, but as writers we need to have a sensitivity to respond and react and have to touch upon us. All we need is to be open to moments that might range from the beautiful to the ugly and we need to grasp it no matter what. Morningkeey Phangcho, an ethnographer who also spoke on the occassion, said, “A writer focusing on a particular community should concentrate not only on the ‘what’ aspects but also on the ‘why’ aspects. A writer should relate to the community he or she is writing on and needs to go back in time to make a study of all the aspects of the people.” The event also featured travel columnist Swapnil Bharali who shared his experiences about his personal growth as a writer. Asking writers to respect the art, senior bureaucrat and writer Dhruba Hazarika said, “The most important thing for a writer is to respect oneself and to command respect as well, which is possible only if one is honest.” He opined that writers nowadays have a lot of choice to take up the art as a full time profession. Texas-based Software professional Ankur Bora, who publishes and edits the global magazine ‘Friends’ was also present in the seminar. Talking about his initiative to bring a regional magazine while being based abroad, Ankur recounted his own experiences with writing and with writers. A familiar name in the Northeastern literary realm, Susan Waten was among the handful Indian delegates invited to the 1st Kathmandu Literary Festival. She had organized the first conglomeration of Naga women writers in Dimapur which concluded with the publication of the epic anthology ‘Of Voices and Paper’. A popular writer and columnist of Nagaland, she has been collaborating on several research and documentation projects with journalist-activist Aiyushman Dutta. Two highly popular artistes of Bangladesh performed in Guwahati recently, much to the delight of the music lovers here. At the initiative of the Indian Council for Cultural Relations (ICCR) and the Directorate of Cultural Affairs, the city got to witness widely recognized Lalon singer Farida Parveen and noted instrumental flautist Gazi Abdul Hakim perform right in their backyard. The 18th century mystic poet Lalon Shah was influenced by Sufism, a spiritual philosophy. For many years Lalon’s mystic songs have been rendered by singers in metros as well as by the fakhirs in aakhra (Lalon’s followers living in the den). But being a singer alone is not enough for rendering Lalon’s songs. One has to imbibe Lalon’s philosophy and Sufism. Though this does not mean that one has to live like fakhirs at the aakhra, one has to love human beings and other living beings and overcome all kinds of desire. Maybe that is the reason why Farida Parveen’s name has today become synonymous with Lalon’s songs. While her style is different from that of the fakhirs in the dens, she lays more emphasis on adding a classical aspect to give it a polished form. 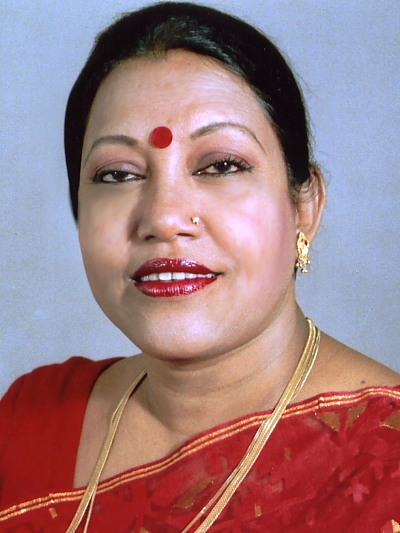 Having rendered Lalon songs almost throughout the world, she has won many awards including the Fukuoka Asian Culture Prize for Best Music 2008 from Japan; Ekushey Padak in1987; and the National Film Award for Best Female Playback Singer in 1993. She is the founder of “Ochin Pakhi School” which is dedicated to accurate teachings of Lalon Sangeet to children. It is also dedicated to providing teaching in acoustic instrumental music with the traditional flute, saringee and sitar as she believes this to be vital for preserve traditional acoustic music. Besides Farida Parveen, noted flautist Gazi abdul Hakim also performed on the occasion. An exponent of the bamboo flute, he is the only flutist to have performed at the House of Commons (in 1994). Before him, only Sarod player Ustad Amjad Ali Khan and Tabla player Ustad Zakir Hussain had got this rare opportunity. Hakim also played at the Commonwealth Summit in Canberra in 2001. Having fought in the Bangladeshi liberation war of 1971, Gazi has been working as a staff artiste of Bangladesh Betar since 1974. 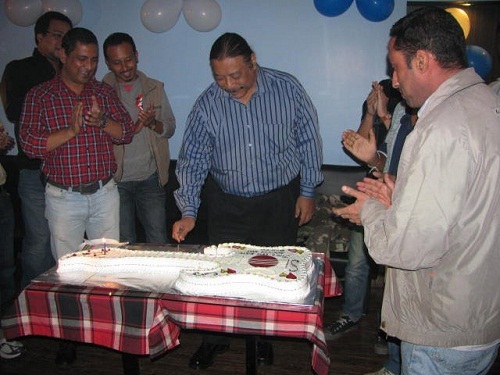 He has released 12 solo albums till date and all of them have been very well received in Bangladesh as well as abroad. A pall of gloom has descended on the rock community of the Northeast at the sudden demise of founder editor of Rock Street Journal Amit Saigal in Goa. Papa Rock, or the Father of Indian Rock as he was popularly called, drowned while swimming off Bogmalo beach in Goa. He and some of his friends were on the way to an island when he decided to go for a swim. A case of unnatural death has been registered by the police. As soon as news of his death leaked out, rockers and music lovers all over the country expressed their shock at the news. Saigal is credited for single-handedly shaping the rock music scene of the country as the founder of the pioneering Rock Street Journal. Saigal had been instrumental in organising rock events such as the Great Indian Rock Festival, Pubrockfest, Jazz Utsav and Rocktoberfest.